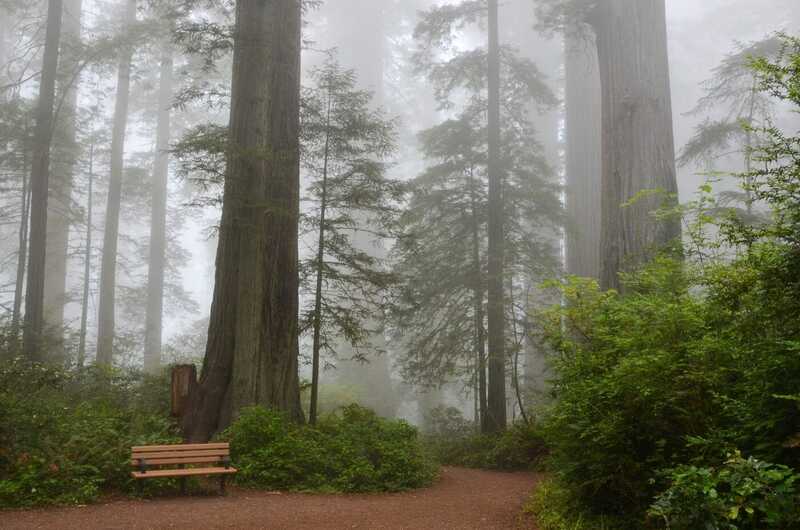 Most people start visiting National Parks because they want to see a specific park. 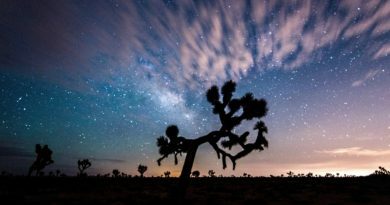 They want to see the Grand Canyon, hike Angels Landing or see Old Faithful erupt. Then they visit and the experience is more amazing that the pictures make it look. 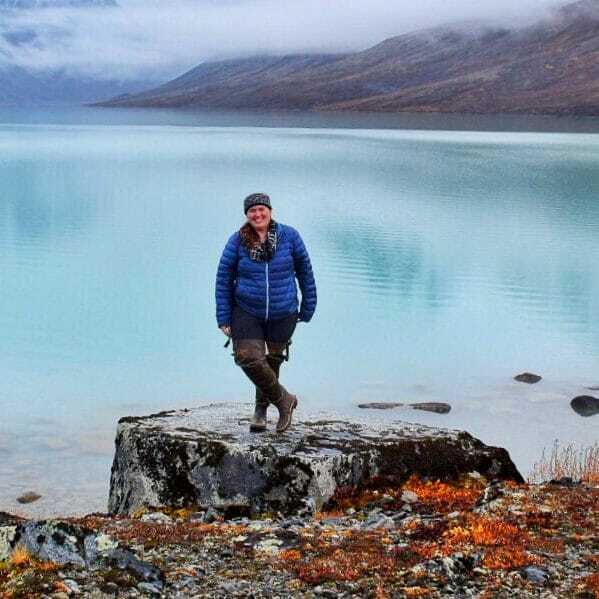 Next thing you know, you are hooked and planning your next national park visit. 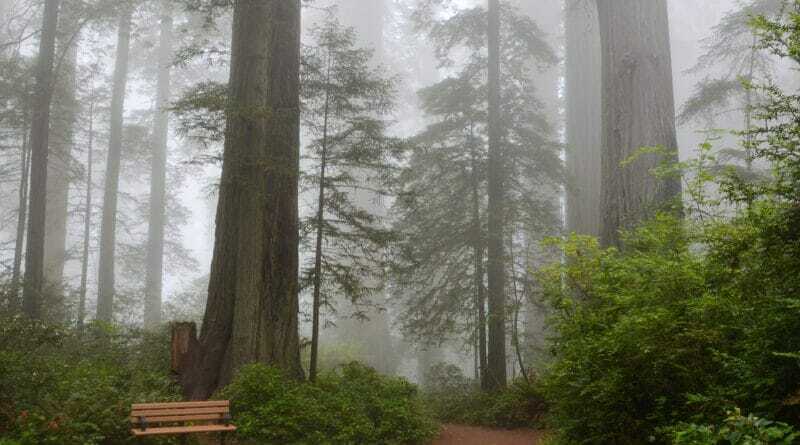 After you have visited several parks, you start wanting a visible display to track your progress in visiting national parks. One of my favorite ways is to get a national park wall map. I was recently given a brand new amazing USA National Park Map by GeoJango Maps. My favorite wall in my office is my collectible wall. This wall features two tall leaning shelves and central bookcase. This area is where I put all the collectibles I have acquired on my travels. There is Elle, the handmade elephant I acquired in Rwanda. Kiev is the stuffed black bear I got in Yellowstone when donating to Yellowstone Forever. Kiev holds a whale baleen knife with polar bear fur from Utqiagvik (Barrow), Alaska. When I was laying out the future for my office (and National Park Obsessed HQ), I wanted a national park map to be the highlight and be displayed between the leaning shelves. My previous national park map was rather plain looking. My map was made in 2011 and only had the National Parks and National Monuments plus a few of the other units. It had come folded with creases so I had paid to have this map laminated but I liked it but didn’t love it. I wanted something with more detail and was as up to date as possible. This is where GeoJango Maps comes in. 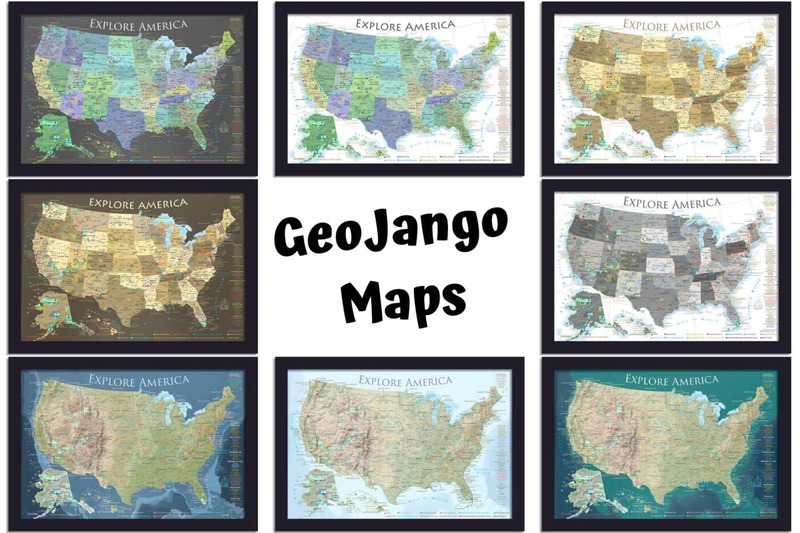 GeoJango Maps is a small map making company based in Pleasanton, California. GeoJango Maps combines satellite date and artistry to create incredibly detailed maps. They use that satellite date to look for interesting patterns and provide a unique look at the world. They combine the historical, cultural and geological data to create their unique maps. GeoJango Maps has a strong team of highly trained map makers and artists to create their maps. They produce and print the maps to ensure they are of the highest quality available. Disclaimer: GeoJango Maps provided me with the 36″ by 24″ USA National Park Push Pin Map purpose of this review and to decorate my office. All opinions are 100% mine. GeoJango provided me with a 36″ by 24″ USA National Park Push Pin Map for my office. I selected the Slate Edition with a 2″ Barnwood Grey Frame. 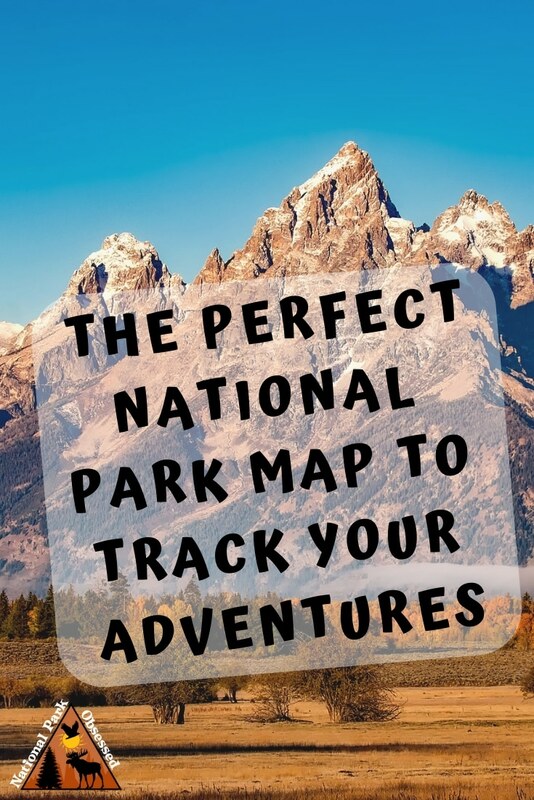 The maps has all 419 National Park Service Units plus another 200 plus National Trails, National Forests, State Parks, Highest Peaks, and a plethora of other interesting sites. 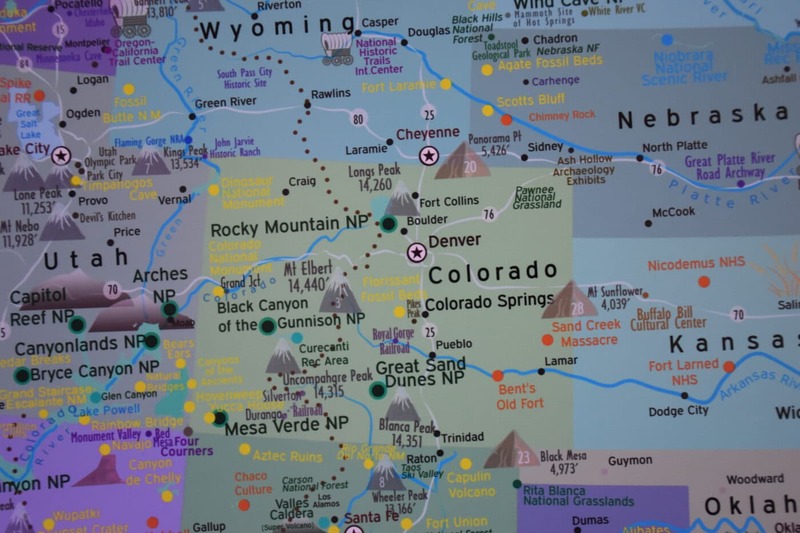 The map is printed on satin photo paper and mounted on gatorboard. My map arrived promptly and in a surprisingly environmentally friendly box. I loved that the map was not packed with packing peanuts or a ton of paper to keep the map secure. They wrap the map in paper and use two foam noodles to hold it secure. Their packaging is secure without being wasteful. After getting the map out of the box and packaging, I was relieved to see that the hanger was a wire. I have had a few issues with hanging frames. Let’s just say my metal polar bear photo took two attempts and some fill to get it mostly straight on the wall. With the wire, it means I only have to drill one hole in my wall and then hang the map and then straighten it. So much easier. I flipped my map over and got my first look at my GeoJango USA National Park Push Pin Map. The level of detail on the map is amazing. It strikes the right balance of detail which out being cluttered. 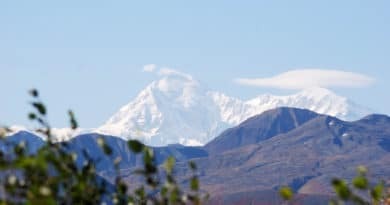 Those are just to name a few in addition to the notable mountain peaks, a selection of the National Trails, major rivers, cities, and towns. The more I look at the map, the more I realize that this map is more than just a decorative piece. It is a planning tool. 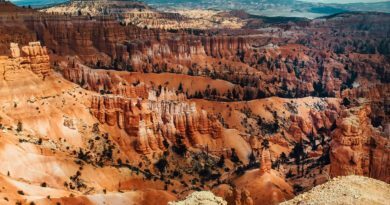 I have an upcoming road trip from Knoxville, TN to Billings, MT. I have driven this route twice before and I have stopped at a few sites along the way. But as I trace the route along this map and have noticed a few sites such as Mark Twain’s birthplace that I am now planning on stopping and visiting. Plus it makes it easier to visualize where specific sites are in relation to each other for other trip planning purposes. I haven’t marked off any of the sites I have visited yet. I can’t decide which pin colors to use for which park type. But that will be happening when I finally decide which color I want to use for which site. I am currently setting my map on my bookcase rather than hanging it up. I want to hang it up but I want it easy to reach for the moment as I start marking off all the sites I have visited. I have been to over 200 National Park Service sites and marking each one off will take a bit of time. This map is perfect for any national park lover. This map will be hanging on my wall for many years to come (and I suspect a Darwin – WorldPush Pin Map from GeoJango will end up on my bedroom wall in the near future). 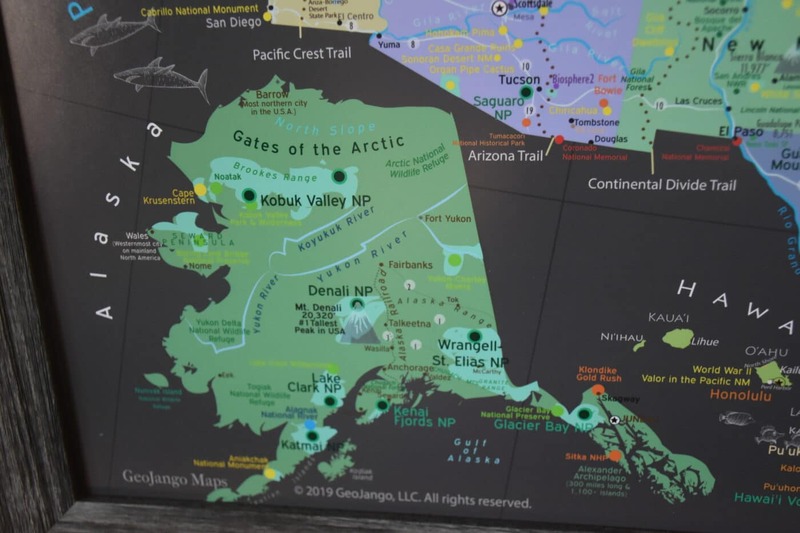 GeoJango Maps offers the US National Park Push Pin map in a range of eight colors, sizes, finishes, and framing options. They can customize the map title if you would like. The map is available in three different finishes – Satin Paper, Canvas Map, and Wrapped Canvas Map. The maps come in the following sizes 24×18 (Satin only), 30×20, 36×24, and 48×32. 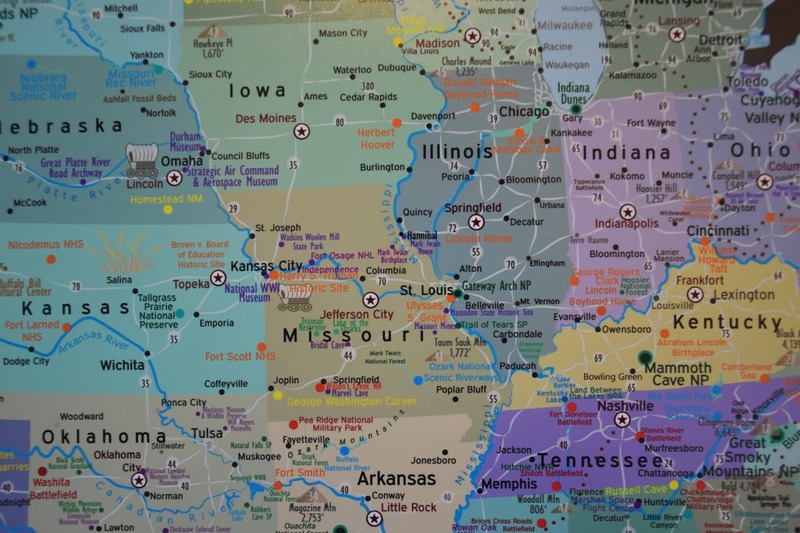 These maps start at $99 for 24×18 Framed Satin Paper Map to $500 for a 48×32 Canvas Wrap Map. My 36×24 BarnyardGreyFramed Satin Paper Map costs $239. **Prices are up to date as March 18, 2019 and subject to change. Going clockwise from upper left corner the colors are Slate, White, Bronze, Black & White, Natural Terrain, Lite Terrain, Voyager, and Brown. 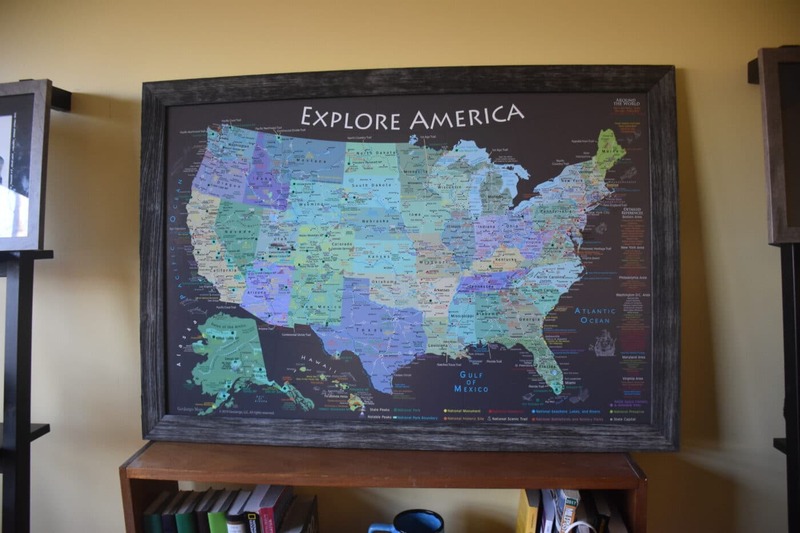 Disclaimer: Thank you to GeoJango Maps for providing me with one of their USA National Park Map for the purpose of this review and to decorate my office. All opinions are 100% mine.